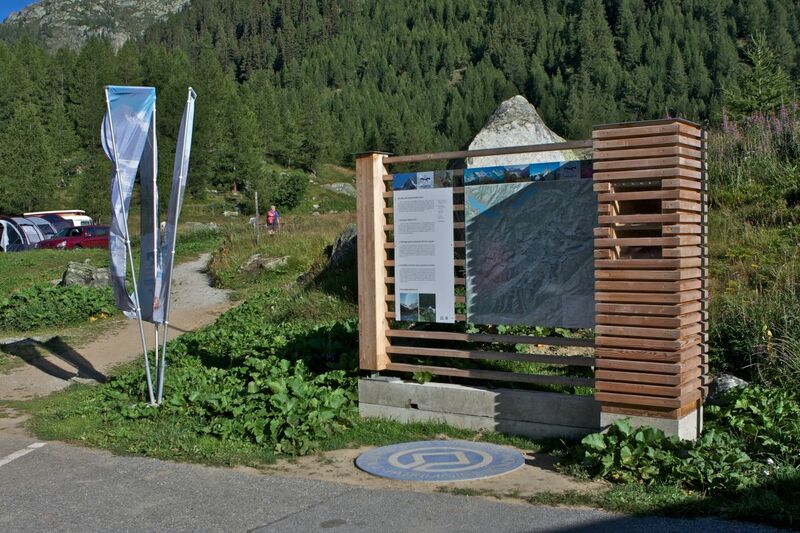 The info point UNESCO World Heritage Swiss Alps Jungfrau-Aletsch on the Fafleralp in Blatten (Lötschental). In Blatten in the Lötschental the old building structure and traditional cultures are preserved and promoted, and efforts are under way to keep the population constant. Local people live culture in active and various forms, usually linked to community life, such as the parade of the Grenadiers of God, the Tschäggättä, singing and music. Attractions: Kühmad with pilgrimage chapel, intact village centres (Blatten and 3 hamlets), the village baking oven, saw mill, mill and Walche, as well as flood planes of national importance.